Snapshot: This article reviews how to write, format, and edit your resume and cover letter, from a nursing-specific point of view. The article also addresses general principles and goals you should keep in mind when using these documents in your job search. Always include a cover letter with your resume. The cover letter is like a guide to your resume; without it, it’s difficult for others to know what’s important in your resume and why you’re a fit for a particular job. Even if you’re just sending your resume to a potential hiring manager informally (perhaps so they can “take a look”), include a cover letter. You never know who may be reading what you’ve sent next, and you want to present yourself in the best possible way. Highlight key skills and accomplishments in your cover letter. 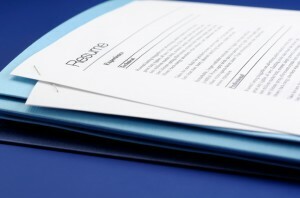 Your cover letter should not simply repeat what’s in your resume. Find alternate ways to highlight and re-phrase the parts of your resume that are the most relevant and compelling for a particular employer. Your cover letter is a personal sales letter, and your goal is to get an interview. Everything you write should work toward that purpose. Tailor your cover letter to eah employer. While it’s perfectly acceptable for your resume to remain more or less the same depending on the job you’re applying to, your cover letter should change some across jobs. This means you’ll need to research the employer you submit the letter to before you start writing it. Your cover letter should always highlight the skills and experiences that are the most relevant for a particular job. Get to the point. Don’t write generalities such as “I’m accomplished” or “I’m a hard worker.” Instead, prove that you are by highlighting key skills, abilities and experiences. As the “Format” section below makes clear, you don’t have space to waffle. Don’t use jargon. Jargon is distracting, and if your reader doesn’t know the meaning of the acronym or abbreviation you’re using, it’s frustrating too. When in doubt, you’re better off spelling words out. For instance, write “Emergency Room” instead of “ER,” “Neonatal Intensive Care Unit” instead of “NICU,” etc. Don’t assume that your resume-reader will have a nursing or medical background; he or she may not. Don’t use “I” too much. Your cover letter is not your chance to tell your life story; it’s your chance to show how your skills, abilities, and experiences make you the best candidate for a particular job. Keep the focus on your relevant accomplishments, not on yourself. Follow directions. If you’re asked to send your cover letter and resume to a particular person, or to format these documents in a particular way (i.e. as a Microsoft Word file, a text document, a PDF, etc. ), do it. While it sounds obvious, a surprising number of job seekers fail to do so and as a result hurt their chances of landing an interview. Always be honest. This should be obvious, but it is sometimes tempting to embellish your work history – or for a minority of people, even flat-out lie. Don’t do it. Not only is falsifying your resume obviously unethical, it’s pretty easy for potential employers to check basics like dates worked, and to follow up with references to confirm accomplishments and work history. You can be sure they’ll do both. Even a hint of dishonesty can be a red flag, and may disqualify you before your resume gets the fair look it deserves. If you can, use reverse chronology. While there are several ways to format your resume, try to use reverse chronology – where you list your most recent work experiences first and go backward in time from there. This is the standard format that most employers will expect because it allows them to easily review your work history and accomplishments. The only reason not to use reverse chronology would be if you have been out of the workforce for a very long time (say, 10 years or more), in which case you could employ a “thematic” format, in which you organize your work experiences according to relevant themes (such as “management,” “training,” etc.) By the way, if you’ve come to nursing as a second (or third, or even fourth) career, as many nurses have, you should still stick with the reverse chronology format if you can. Keep it fresh. While employers obviously want to know your work and education history, they don’t want to know your every work responsibility or accomplishment. (For older resume-writers, anything more than about the past 10 – 15 years of employment probably isn’t relevant). You can also eliminate clutter by going into more detail on your most recent job or two, or your most relevant past position, and cutting back on the rest. When you write or edit, ask yourself: will this demonstrate my skills and professionalism, and is it a genuinely important responsibility or accomplishment? If not, eliminate it. Don’t list highly personal information. While some job seekers include a “Personal Interests” heading in their resume (more on this in the “Resume Components” section below), you should never list information like your race, marital status, or religion anywhere on your resume. Not only is such information irrelevant, it is illegal for employers to ask for this information or to otherwise consider it when making hiring decisions. Make time. It isn’t easy to consolidate years of work history and accomplishments in a resume, or to highlight the most relevant and compelling pieces of your resume in a cover letter. Expect to spend at least 1 – 2 hours composing your initial cover letter, and between 15 – 30 minutes editing it every time you customize it for a different position or employer. You’ll probably need to spend more time on your resume since it will be longer and more detailed. Expect to spend at least 3 – 4 hours writing your resume, not including subsequent rounds of editing. Revise. Nobody writes perfectly the first time through. Expect to go through at least 3 – 4 revisions (or more) for the “generic” cover letter that you write, and at least 1 – 2 revisions each time you “customize” this cover letter for different employers and job listings. Expect to go through at least 3 – 4 revisions (or more) for your resume. Ask for feedback. Feedback is an invaluable component of the revision process. Nobody – not even the best writers and communicators – can think of everything they want to say (or should say) on their own. Whatever you do, don’t get defensive when someone offers you a suggestion; at least consider the point and whether you need to clarify yourself. Use a standard type-size, type-face and margins. Your resume and cover letter aren’t your chance to indulge in the avante-garde. Keep it simple with standard fonts like Times New Roman, Helvetica, or Arial. Standard font size is 12-point. Standard margins are usually about 1 inch on all sides. You want something that looks clean and is easy to read, either on paper or on a screen. Use paragraphs for your cover letter. To be precise, you should use 3 paragraphs (see the “Cover Letter Components” section below for more on what to write). Paragraphs break up your writing and make it easier to follow and read. Consider using bullet points for your resume. While it’s acceptable to write brief paragraphs in your resume, your writing is usually easier to scan and digest if it’s in bullet-point format. If you need to write a couple of sentences to describe the information in a given bullet that’s acceptable, so using bullets doesn’t rule out more detailed description where it’s warranted. (See the “Work History” bullet under the “Resume Components” section below for more information). Use single-line spacing for both cover letter and resume. Your cover letter should fit comfortably on 1 page. This is difficult to do unless you use single-line spacing, so stick to that. Stick to single-line spacing on your resume too. Your resume can be 2 pages. While you may sometimes hear the claim that your resume should be no more than 1 page, it’s perfectly acceptable to make it 2 pages so that you can fit (without crunching font size and margins) and adequately describe your work experience, academic qualifications, and so on. That said, do keep it to no more than 2 pages! (Note: Don’t confuse your resume with a curriculum vitae, or CV, which is usually much longer and more detailed; this format is generally reserved for PhD-level academics and other scholars who need to list publications, teaching positions, speaking engagements, and the like). Note: Cover letter components are listed in descending order (i.e. starting at the top of the cover letter and moving to the bottom). Please see the “Sample Cover Letter” (/) for a specific example. Name, address, contact information, and date. You should always list this information for both yourself and the person receiving your cover letter. (See the “Cover Letter Sample” for formatting suggestions). It’s important to always include a date because the person reading it should easily be able to see when you e-mailed or sent it. Introduction paragraph. Use this paragraph to briefly introduce yourself and “hook” the reader. Be sure to note the position you’re interested in, perhaps how you learned about it, and why your skills and abilities make you an excellent fit. If you can sincerely complement the employer as you write this introduction (i.e. “Memorial Hospital has a sterling reputation and I would love to be part of your team”), do so. Body paragraph. The focus of this paragraph is to paraphrase the experiences, skills, and qualifications in your resume that are the most relevant to this particular employer and position. As noted in the “General Guidelines” section above, don’t repeat word for word what’s in your resume, and keep the focus on specific, genuine accomplishments rather than vague generalizations. Remember, you want to show why you’re a good fit for this position, not just claim that you are. Closing paragraph. This paragraph should thank the reader for his or her time and consideration, and repeat your contact information (especially your telephone number and email address) so that the person knows how to reach you. Close the letter with an up-beat ending, such as “Sincerely,” “Thank You,” or “Warm Regards.” If you are sending a hard copy of the cover letter, close by typing your name several spaces down, and signing above it; if you are emailing the cover letter, just type your name. (See the “Email Tips” section below for more information on electronic cover letters). Note: Resume components are listed in descending order (i.e. starting at the top of the resume and moving to the bottom). Please see the “Sample Resume” (/) for a specific example. Name & contact information. Centered at the top of your resume should be your name, followed by your street address, telephone number, and email address. Make your name bold and put it in all caps so that it stands out. Be sure to include your email address because this is often how employers prefer to communicate. Note: If you plan on moving, you should write the dates through which you’ll be at your current location (i.e. “through Month-Day-Year”), and if you know where you will be living next, list your future address beside your current address, with the date from which you’ll be at that new location, (i.e. “from Month-Day-Year”). Objective (optional). Include an objective, which is a one- or two-sentence summary of your employment goals, only if you can summarize why your skills, experience and values make you an ideal choice for an employer. This means you need to get specific, and that you’ll probably need to customize your objective for different employers, which adds time. (Be sure to change the name of the employer for each version of your resume; if you’re applying to multiple jobs this can be easy to forget!) If you find yourself writing fluff, cut it; you don’t need an objective. Key accomplishments/Career profile/Career highlights (optional). Include this section (which can go by any of the above names) only if you feel that your cover letter somehow can’t adequately summarize and pin-point your most relevant skills and experience for a particular employer. While this section is often redundant, it can arguably demonstrate to a potential employer that you’ve taken the time to really customize your resume for them, which could be a benefit. Some people also find it much easier to digest information in bulleted lists, and this format can provide that. Work history. For each employer that you list, provide descriptive bullets or text about your key responsibilities and accomplishments. Don’t record everything you did; focus on the more interesting, non-routine aspects of your job. For instance, if you’re listing a nursing position, everyone will expect you to have assessed patients and administered medications; show how you delivered superior patient care by outperforming safety benchmarks, led your unit or team, provided education to your patients, and the like. If you’re new and have less experience, you can focus on your more significant clinical skills such as I.V. certifications, advanced life support skills, ventilator care, and so on. Whatever you write, be specific, and use active verbs like “achieved,” “managed,” and “educated,” and quantify your accomplishments with numbers and verifiable facts; in short, don’t just write “delivered superior patient care” – prove it! (If you’re still a nursing student or are applying for your first nursing position, this section should be titled “Clinical rotations” instead of “Work history”; if you’ve already worked as an RN, don’t list any of your student clinical rotations or externships). Note: If you’re a second-degree nursing student or a career-changer, you should definitely list your previous, non-nursing work experience. While some nurses in the past were told to leave this off, times have changed; employers will value the experience, skills, and maturity you bring to the table from your previous jobs. Education. In this section you want to list, again in reverse chronological order, all of the degrees you’ve earned. Unless the job you’re applying for mandates a specific minimum GPA, you don’t have to list your GPA. However, it can be helpful to do so, especially if it’s on the high end (i.e. about 3.4 or above). Don’t clutter this section with every club membership or academic accolade you’ve received unless it’s truly notable and relevant (such as making the Dean’s List, being the president or leader of a nursing club); if you’re more than a year or so out of school, it’s probably best not to include such accolades at all as they are no longer relevant. Note: If you’re currently a nursing student and haven’t yet graduated, you can write the month and year of your expected time of graduation, e.g. “Expected May, 2012.” This is a standard format that employers understand. If you’re a second-degree student, you should list your prior degrees earned below your nursing degree, just as you should list your prior non-nursing work experience. (See the above bullet, “Work history,” for more information). Certifications. It’s helpful for employers to know about certifications you’ve earned as these are concrete clinical skills. (Examples include BLS (Basic Life Support), ACLS (Advanced Cardiac Life Support), PALS (Pediatric Advanced Life Support), etc.) For each certification, list the certifying organization/body and the most recent date of the certification too. Interests (optional). If you want, you can list a few of your personal interests and hobbies near the bottom of your resume. For instance, if you’ve done volunteer work – especially if this work is relevant to the position in question – this may be beneficial to include. But be careful. As noted in the “General Guidelines” section above, don’t list any interests related to your race, religion, political beliefs, and the like; it’s unprofessional to do so, and if the person reading your resume has any biases (as everybody does), “getting personal” in this way could end up hurting you, not helping you. References (optional). If you want, you can write “references available upon request” at the bottom of your resume, but you certainly don’t have to; if employers want to ask for references, they will. Whatever you do, don’t include specific names and contact information for references directly on your resume. You should have a list of references (with their current contact information, and the job you performed or relationship you have to each person with any relevant dates) typed up in a separate document before you submit your resume so that you can send this to employers in case they request the information. Make the subject line clear. When you email your resume and cover letter, be clear about the specific job you’re applying for. For instance, you could write: “RN Seeks Clinical Nurse I Position,” or something similar. Always include a subject line. Make your cover letter the body of the email. Rather than include both your resume and cover letter as attachments, make your cover letter the body of the email and attach your resume. It’s distracting to have to download a separate cover letter. Also, even though you’re sending an email be sure to still write in paragraphs, as described above. Save your cover letter file as plain text. If you write your cover letter in a standard word-processing program (such as Microsoft Word), saving your file in plain text will make it easier to copy and paste your cover letter into emails. Before you hit “send” on the email though, be sure that the text is formatted correctly. Depending on the email program you may, for instance, need to re-introduce paragraph breaks. Use keywords and phrases. One of the many benefits of focusing on your skills and accomplishments (rather than vague generalities) in your cover letter and resume is that your job application will be more likely to be picked up if your potential employer uses an applicant tracking system (ATS) that searches for keywords and phrases to screen job applicants. Potential keywords and phrases might include “RN,” “case management,” “quality improvement,” “leadership,” “CPR certified,” “I.V. certified,” “critical care,” “multitasking,” “bilingual,” etc. Use a respectable email address. Be sure to send your email itself from a respectable email address. “[email protected]” or “[email protected]” won’t cut it. “[email protected]” or the equivalent is a much better bet. If you’re concerned that your current email address may not be appropriate, you can create a more straight-laced address for free on numerous sites. Treat email as professional correspondence. This point is similar to the one above. Just because you’re not sending your resume and cover letter on stationary doesn’t mean that prospective employers won’t use it to form an impression of you. As noted in the “General Guidelines” section above, don’t use acronyms or jargon, avoid exclamation points or other non-standard punctuation, and definitely steer clear of emoticons (i.e. text-based smiles and frowns), non-standard fonts, formatting, or text colors.